The 693 truly brings the Beretta over & under in a new era, where the mostcutting edge technology blends with the traditional Beretta design to deliver a shogun that is absolutely outstanding. 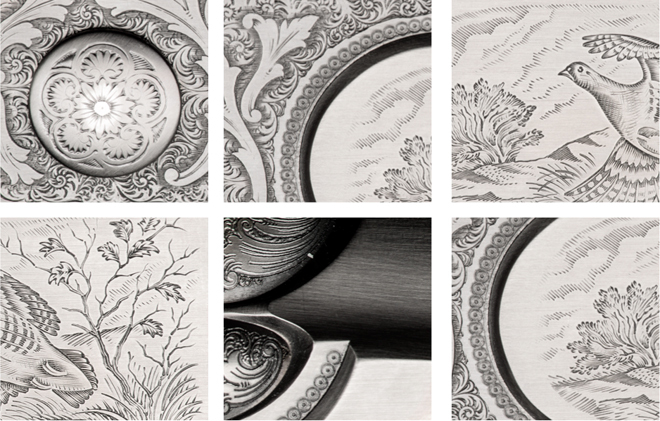 Every Beretta over and under is unique to its owner… it’s a personal and natural feeling. But there is something that makes every Beretta shotgun really unique for everybody: the quality of the Steelium barrels. The receiver of the traditional Beretta over and under is worldwide renowned to be thin and elegant and the 693 makes no exception. 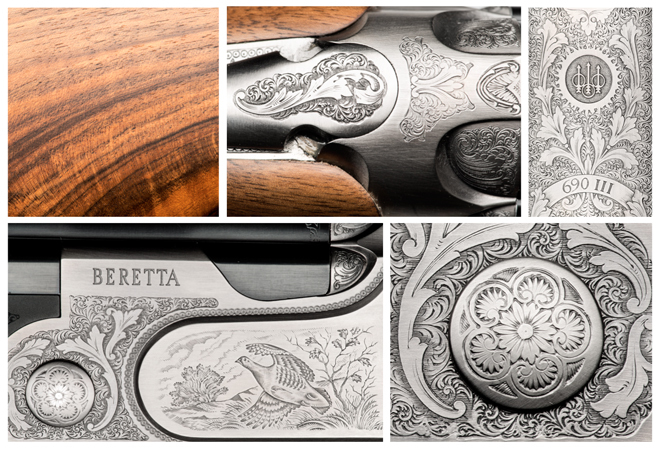 Two things make it really great: the double-fenced top of the receiver, that is typical of the most refined premium guns, and a new roll marked game scene engraving which is absolutely outstanding. A thin and two times great receiver is finally possible! The wood quality is important for a field over and under. We know this very well. The 693 features the best wood grade of its category to deliver a really amazing look. Every stock is carefully selected, oil finished and controlled by the most qualified Beretta experts, to guarantee the maximum technical and aesthetical standards. The 693 is lighter than the previous generation 687 Beretta over and under shotguns, thanks to the re-engineered barrel / forend-iron design. With the average 12ga 28″ barrelled shotgun weighting only 3,35 kilograms, the 693 can go even lower than 3,25 kg for a low-density wood 26 inch barrelled. Also the balance is perfect and the fit and feel is absolutely great. What could you ask more to a shotgun? Through a set of configuration options that is now wider than ever, the 693 delivers all that is desirable by the most demanding hunters worldwide: 26″, 28″ and 30 inches smooth barrels, together with either 35/55 or 38/60 stock drops in both cast on and off. Five chokes complete the OCHP version, while a fixed choke version will be available upon request.